Photo Courtesy of the Lucara Diamond Corp.
2015 was a BIG year for Diamonds! In November 2015 the Lucara Diamond Corp found the second largest diamond in the world. The stone was found in the Karowe mine in the capital of Gaborone. This tennis ball sized diamond was 1,111 carats. 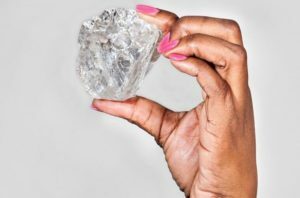 Lucara Diamond Corp said the stone was so big it would not fit inside their scanner thus requiring a third party scanner. The stone is second only in size to the 3,106 carat Cullinan Diamond found in South Africa in 1905. The current value of the Lucara Diamond is unknown at this point and will remain unknown until color, clarity and cutting are evaluated. Analysts suggest its value could be upward of $70 million dollars. The Lucara Diamond Corp didn’t stop there! Later in the week they also discovered an 813 carat diamond as well as a 374 carat stone! Hong Kong Billionaire Joseph Lau set tongues wagging when in November he bought not one, but TWO fancy vivid diamonds for his seven year old daughter Josephine! 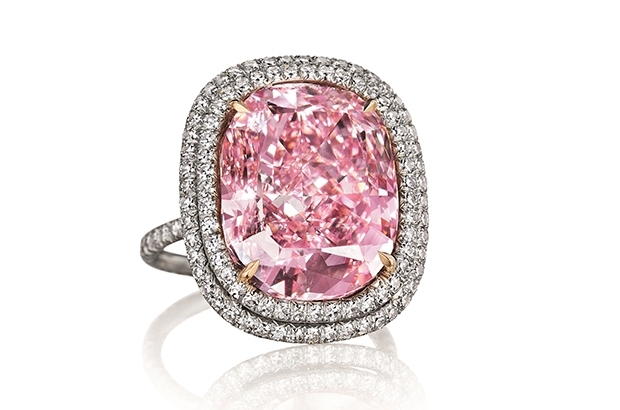 His first purchase was for a 16.08 carat fancy vivid pink diamond. Lau paid a reported $28.5 million dollars for the stone. This was the largest cushion shaped stone in the category fancy vivid that had ever gone to auction. 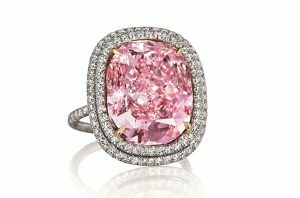 Christie’s stated that only three pink stones classified by the GIA as fancy and weighing more than 10 carats had been up for sale in over 250 years. The stone was previously owned by Harry Winston, and Laurence Graff. Mr. Lau has now named the stone “Sweet Josephine” after his daughter. The buying did not end there for Mr. Lau. A week later the property tycoon purchased a 12.03 flawless fancy vivid blue diamond for $48.4 million dollars. 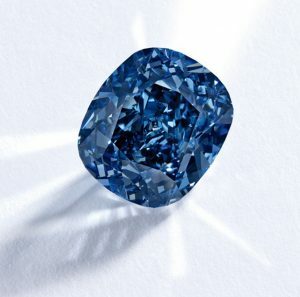 The Blue Moon Diamond according to Sotheby’s is among the largest known fancy vivid blue diamonds in existence today. Mr. Lau has renamed the stone “The Blue Moon of Josephine”. We can’t wait to see what 2016 in store!